Hello, My name is Steven Walley, I’m the Managing Director of London Stone, a UK based natural stone importer and supplier. 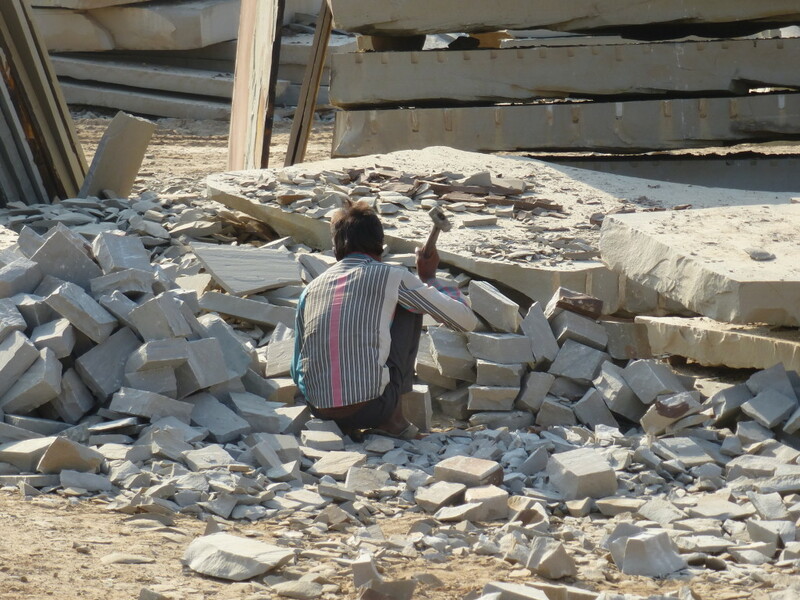 No Child Left Behind is a 6 part blog series, written to educate and inform the industry about the root causes of child labour in the Indian Sandstone industry. The blog also aims to raise awareness of the amazing community led initiatives that are slowly succeeding in eradicating child labour in Budhpura and the surrounding villages and hamlets, where the majority of Sandstone Setts, destined for UK and European markets, are produced. Last month you heard from Bram Callewier, Director of Belgium based stone importer, Stoneasy. 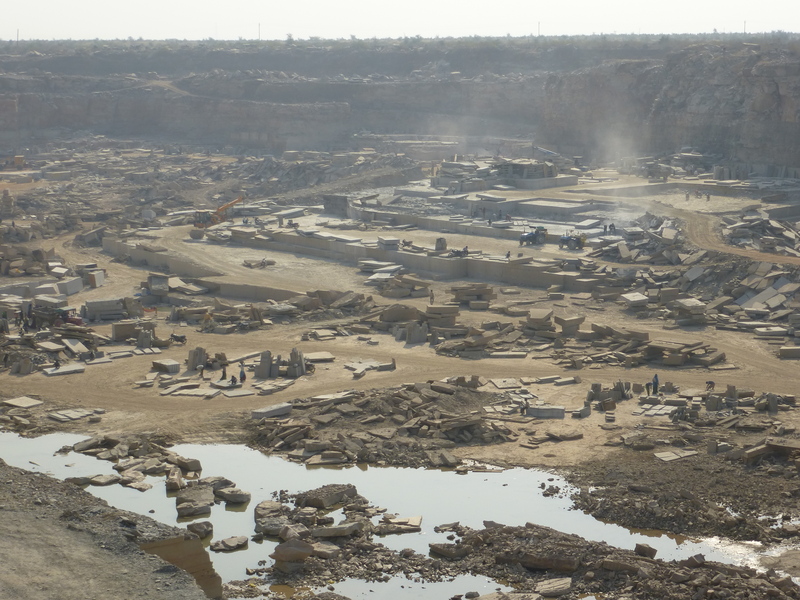 Bram’s informative blog talked about the historical context of how western companies got involved in the Indian Sandstone industry and how little our understanding was of ethical issues in those “early days”. You’re now reading part 2 of the 6 part series. I’m going to be talking about Manjari. Manjari are the Budhpura based NGO playing a pivotal role in establishing child labour free zones in Budhpura and the surrounding villages & hamlets. But first, before we go any further we need to understand the complexity of the root causes of child labour. Ok, so let’s address the issue of child labour…….its easy right, we just need to convince the parents to send their children to school? Wrong!………..If only it was that simple. Unfortunately, child labour is a complex issue and many factors contribute to its existence. All the root causes are deeply ingrained into the functions of the community. Poverty, lack of quality education and facilities, widowed families, industrial disease, alcoholism, domestic abuse, lack of medical treatment, lack of access to social benefits; all contribute towards the existence of child labour. The root causes of child labour are so diverse, so it goes without saying that so are any possible solutions. Addressing child labour is not the responsibility of any one group, it’s a community issue and the only way it can be addressed is by communities coming together. CLFZ (Child Labour Free Zone) strategy focusses on community mobilization to create a change of mind-set. Instead of accepting child labour as a consequence of poverty, the CLFZ (Child Labour Free Zone) strategy empowers the community to come together and reject child labour. I remember a few years ago when London Stone were members of the ETI. The RSWG (Rajasthan Sandstone Working Group, a caucus working group of the ETI Stone Group) were discussing a project to address Silicosis in the Sandstone quarries. An incredibly naïve me had a plan to address Silicosis by establishing a presence at the Indian Sandstone quarries and attempting to impose European H&S standards. Surprisingly I thought it was a great plan but its shortfalls were quickly exposed when I shared my ideas with RSWG members. The main flaw in my plan, and I remember Bram Callewier pointing this out to me, was that I was proposing that we (UK stone importers) would manage the whole project. Bram rightly pointed out that for any ethical project to be sustainable (and succeed!) it needs to be driven locally by a committed and motivated organisation. Boots on the ground was the phrase used, without which, any project simply falls down. A typical sandstone quarry in Budhpura area. There are thousands like these spread across huge areas of Rajasthan. The sheer scale exposes the naivety of my plan to impose Western H&S Standards. What’s needed is a local NGO, an organisation capable of being on the ground 24/7 and who can maintain a permanent presence in the area. This is where Manjari sit and why, without diminishing the roles played by other parties, Manjari play the project’s most pivotal role. For me nothing gives Manjari more credibility than the location of their centre. Their head office and community centre is situated in the middle of Budhpura and is fast becoming the heart and soul of the community here. My first visit was in Autumn 2015, it left a real impression on me and I came away both humbled and inspired by my experience. The young female education assistants who were only in their late teens themselves, the young man practically disowned by his own mother because he had closed the family shop to go door to door campaigning to enrol children into school and of course Manish, the head of Manjari and an inspiration to everyone involved with CLFZ (Child Labour Free Zone) in Budhpura. These people and many more like then were taking action, they were, are, making a difference in what is an extremely challenging environment. It wouldn’t be an exaggeration to describe them as hero’s, that’s how important they are to the community in Budhpura. Enough of my thoughts though, let’s get into the nitty gritty of how Manjari are not only building the capacity of the community to reject child labour but also how they are supporting real people to create a better future. One of the most important functions of Manjari is to provide the community with a safe space and experienced facilitation. Providing this facility has spawned numerous community groups. During my last visit to Budhpura in the Autumn of 2015 I was privileged to sit in on a number of these community groups. Apart from the obvious fact that the meetings were actually taking place I was most delighted by the spirit of the people in the group. India has a complex caste system that has historically diminished the role that people from lower castes are able to play in society. There was no sign of that here. Everyone had a voice, everyone was given a platform, everyone could contribute. 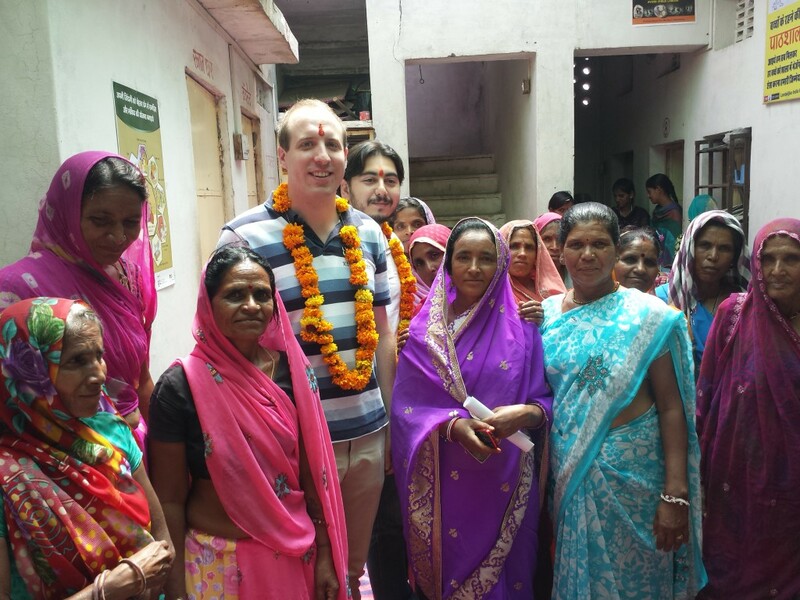 I have witnessed shocking discrimination on my travels in India, so to see open spirited groups such as these working together was a wonderful experience. Given the context of the project, one of the most important groups are the child rights protection forums. These are adult groups comprised of the parents of children living in the project intervention area. Members of the group are democratically nominated by community members. These forums play a lead role in protecting and promoting rights of the child in their respective villages and to date, six Child Rights Protection Forums (CRPF) have been formed. 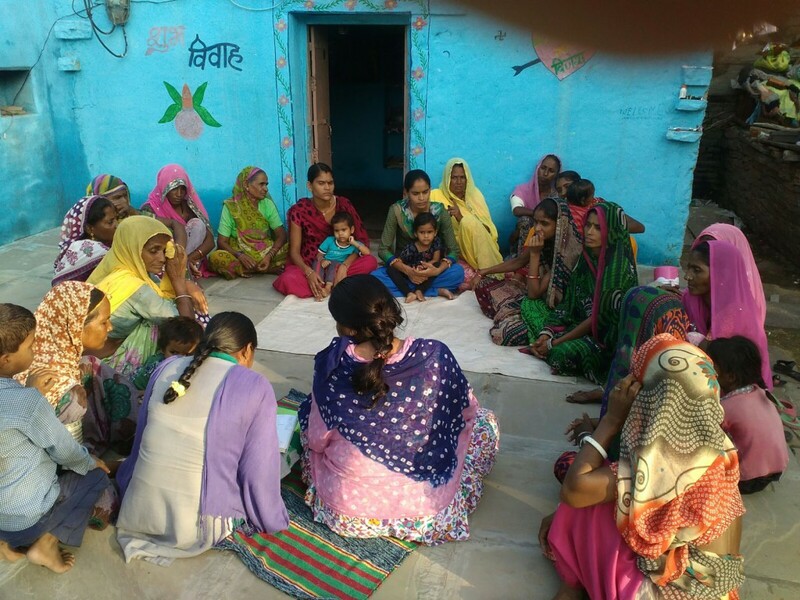 The groups are made up of between 10 to 20 members and their monthly meetings are facilitated by the Manjari project team. Different issues related to CLFZ (Child Labour Free Zone) project activities and village development are discussed in these meetings. In particular, the CRPF’s review child rights and work on developing an action plan to improve the situation. Regular CRPF meetings have created a group that is robust and members are now developing their own vision for the future of the children of Budhpura. This is so important, earlier in the blog I made the point that in order to stand on their own two feet, ethical projects had to be driven by local organisations. You don’t get much more local than the people of the community. CLFZ (Child Labour Free Zone) is not just about getting children back into education though, its far more than that. Fundamental to the aims of the project are that children have the opportunity to enjoy their childhood. 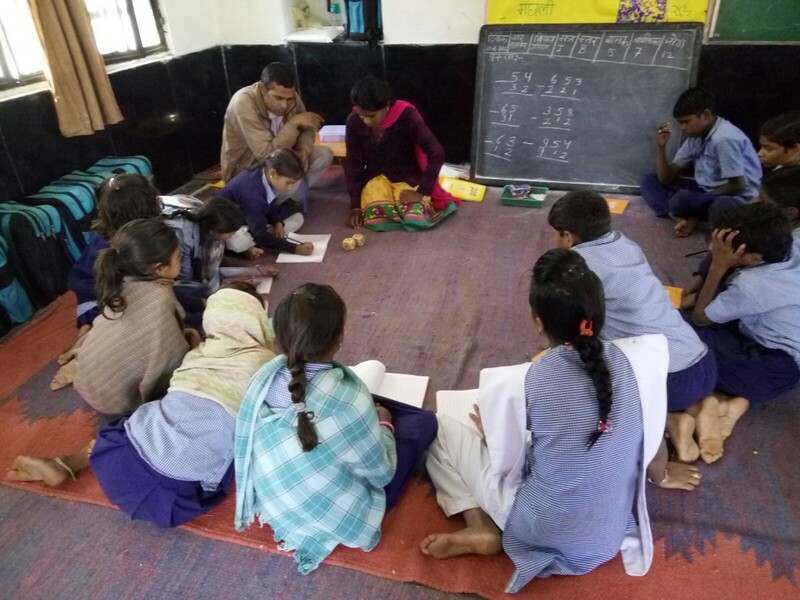 Children’s groups (Bal Manch) are now flourishing at the Manjari community centre. Bal Manch organise fun, educational activities for children in a safe and supportive environment. Children get the opportunity to learn, interact and develop their social skills. 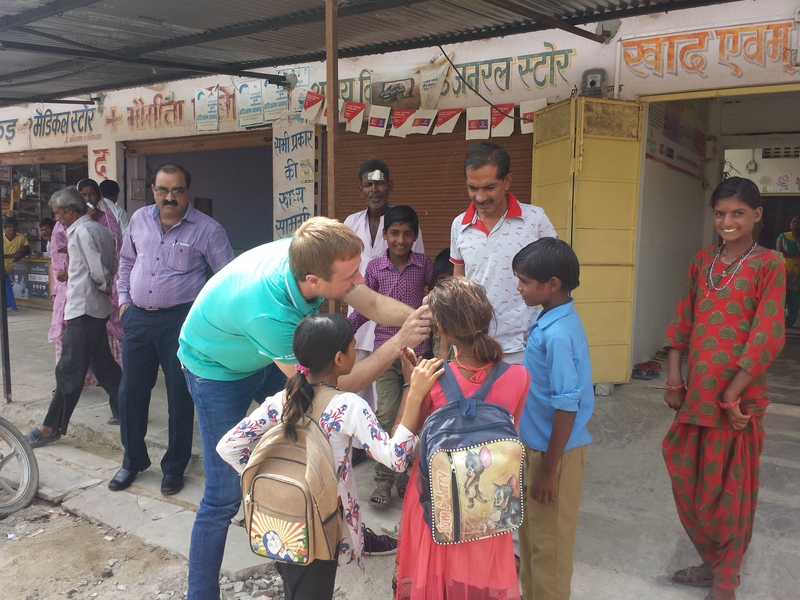 During my last visit the community centre was a hive of fun and activity and it was obvious that the children loved spending time at the Manjari community centre. Four of these children groups have now been formed and they play a vital role in helping to uphold the objectives of CLFZ (Child Labour Free Zone). 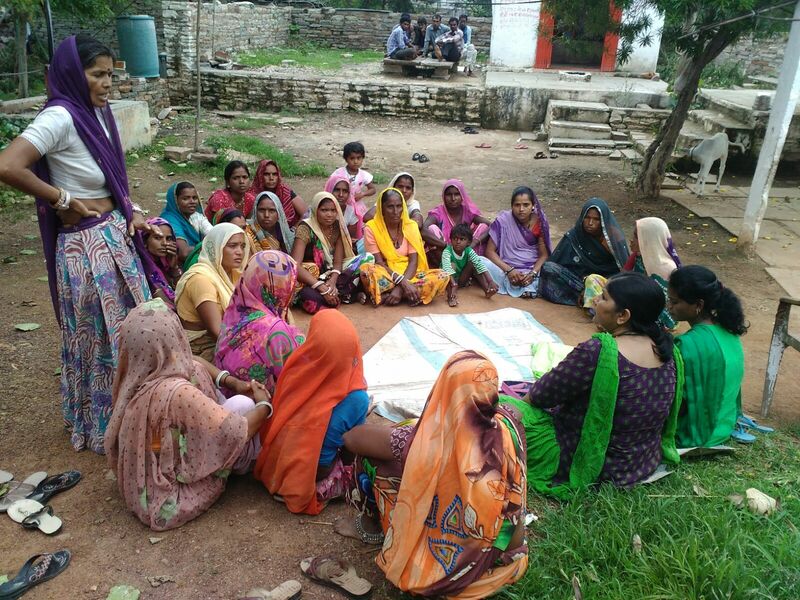 One of Manjari’s biggest success stories is the creation of women’s groups. In a community with many widowed families these groups provide a vital peer to peer support network for women in what has always been a male dominated community. Members of the women’s group contribute towards a fund that is used to provide vital financial support to women in times of difficulty. As well as helping women with their immediate need for financial assistance, having access to the fund keeps the women out of the clutches of local loan sharks and a cycle of never ending debt.